Everly Free Hipster WordPress Blog Theme features not only a modern and minimalist design, it is also a standout WordPress theme for one reason: the focus is on YOUR content first and foremost. 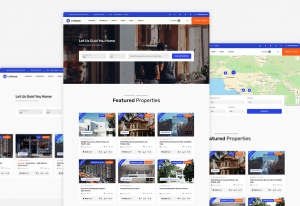 Whether you choose the default design or beautiful grid design, Everly truly highlights what your users want the most, great content.Photographers can create beautiful galleries to show their best work simply, with no coding required at your end. 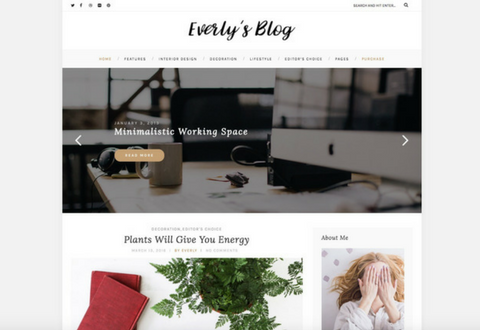 Everly Free WordPress Blog Theme brings a modern style, which will be loved by Creatives. It was designed with minimalism and presentation in mind. Typography was chosen based on great readability for body font and playful heading fonts add a little extra sparkle into the design. Everly is a great WordPress Theme for presenting your stories and posts in a unique and modern way.